If you still want to go to the convention, contact Rich Hobbs at 614-486-6446 or rjh@agcohio.com. There is no guarantee that additional rooms will be available at the current convention price. 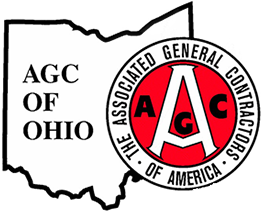 Join your fellow AGC members in warm and sunny Costa Rica from March 10—16, 2019 for the annual AGC of Ohio Convention. The group will be staying at The Westin Playa Conchal Beach & Golf Resort set between the exotic forests and unspoiled beaches of Costa Rica's North Pacific Riviera. Conchal boasts what some consider to be the most beautiful white sand beach on the Costa Rican Pacific coast. The annual convention provides contractors the opportunity to build business relationships with other contractors from all over the state of Ohio. In addition, business sessions are held each weekday morning that address topical issues for the Ohio commercial construction industry. Activities include: Water sports including boating, fishing, snorkeling, scuba diving, kayaking, sailing and surfing. Jogging/fitness trail, nature preserve, sauna and bike rentals. Horseback riding along a beach and ATV rides through the mountains and jungles. Conchal Golf Course nestled between striking Pacific coast beaches and lush gardens, the challenging 18-hole, par 71 Robert Trent Jones II course will awaken your sporting spirit. Tee off amidst the beauty of Costa Rica. Children ages 3 to 12 years - $123 per day. Third person in Junior Suite (adult) is $208 per day. AGC of Ohio has negotiated special room rates for three days pre- and three days post-convention dates. Early arrival or extended trip – PLEASE NOTE – AGC’s exclusive 3-day Pre-Convention and Post-Convention rate is on a SPACE AVAILABLE BASIS. During the busy winter season if you want to go early or extend your stay you should make arrangements soon. It’s not unusual for a limited number of rooms being available during this time. If you’re not sure you can always protect your self by reserving those extra days then cancel if your itinerary changes. $490 per room per couple per night for basic convention package. Royal Beach Room $590 per night per couple.